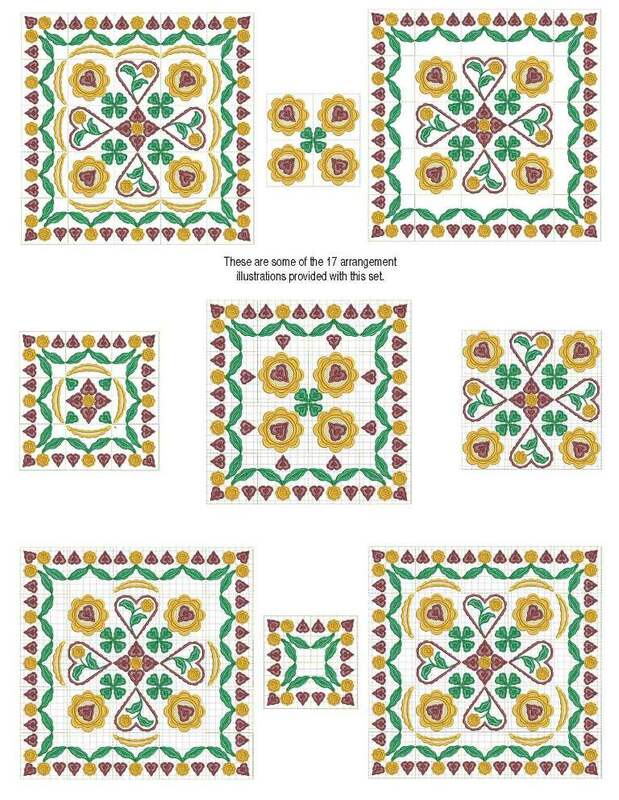 Multi-use motifs with a flowers theme. 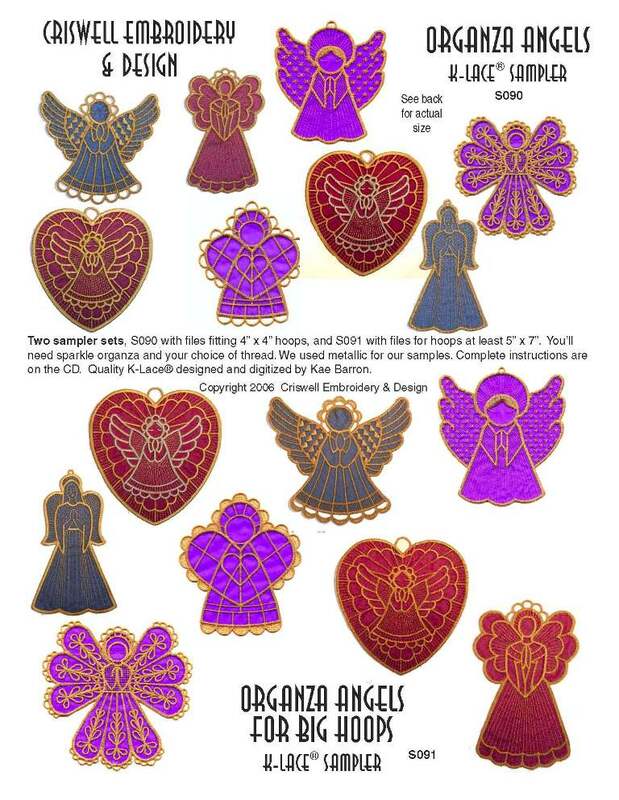 Ideas for placement shown in instructions. 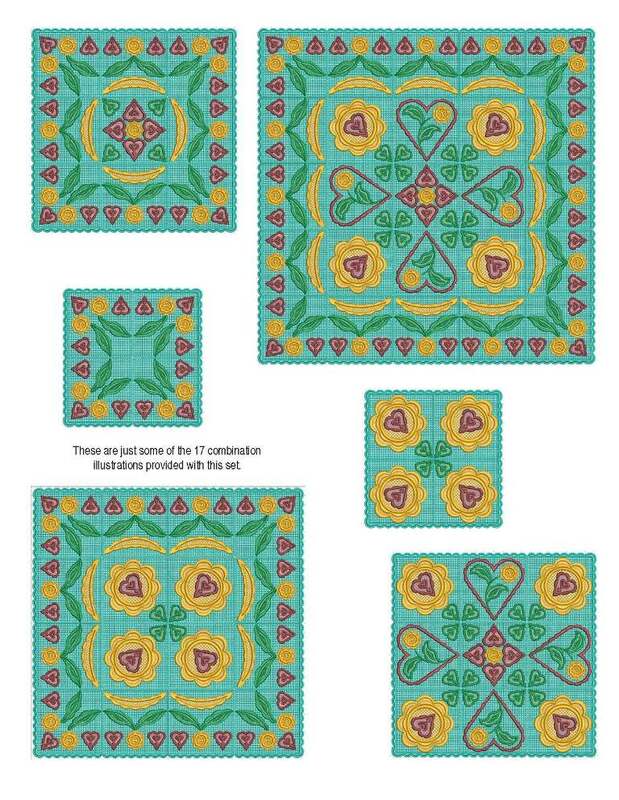 Multi-use motifs with a heart theme. 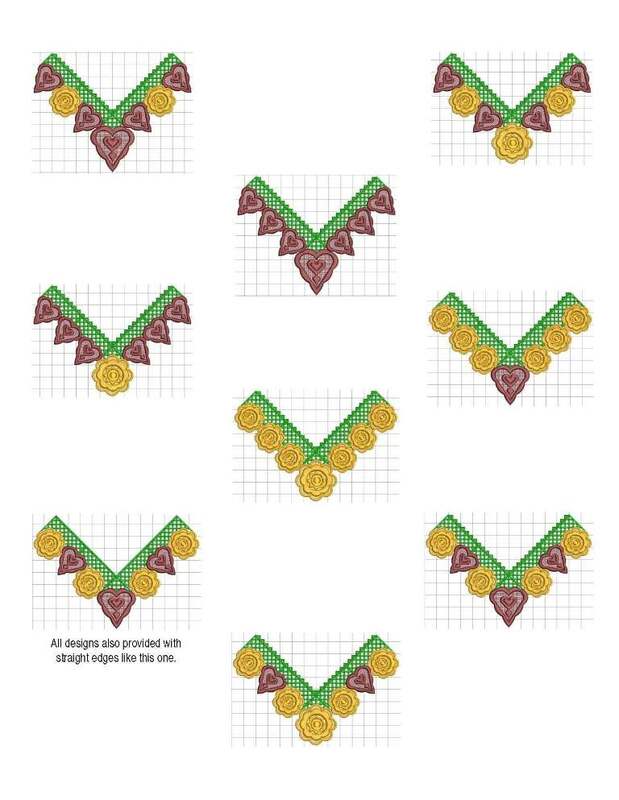 Ideas for placement shown in instructions. 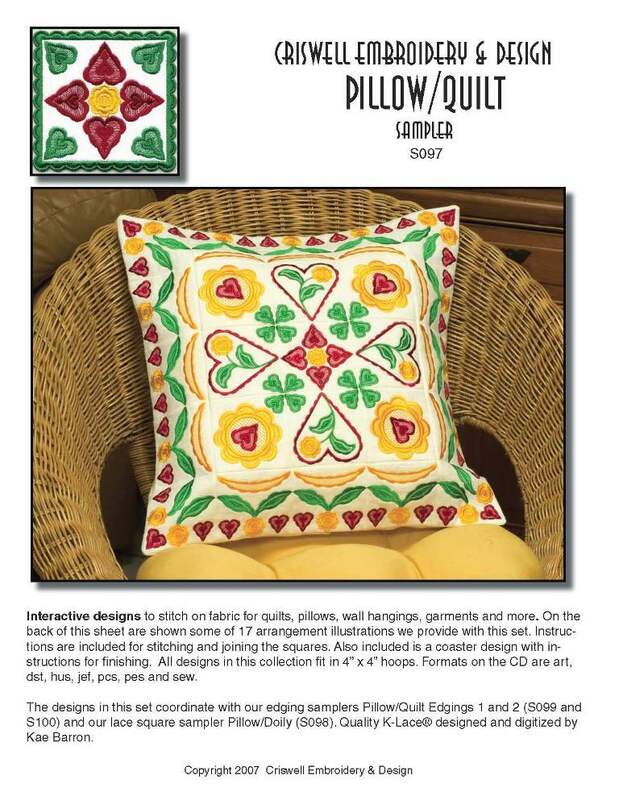 Interacting designs on fabric to use for pillows and quilts. 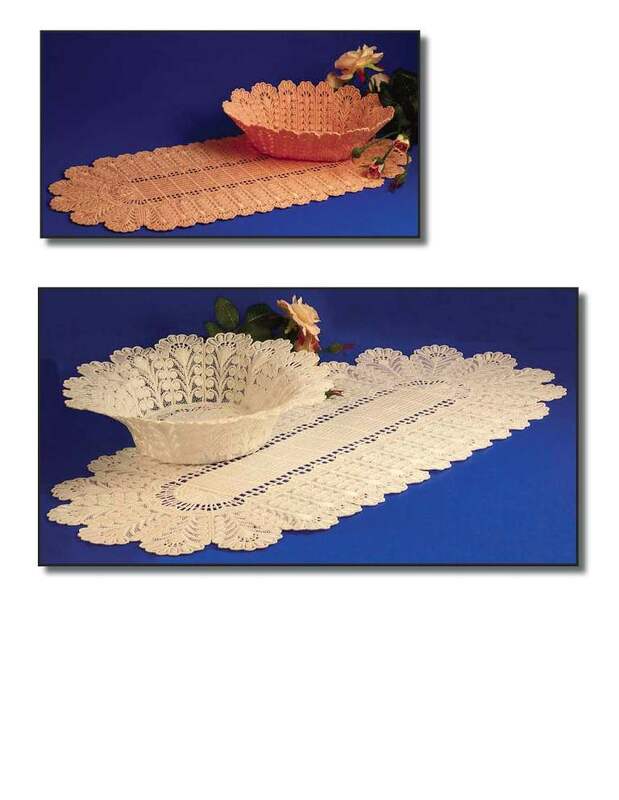 Arrangements included in instructions. 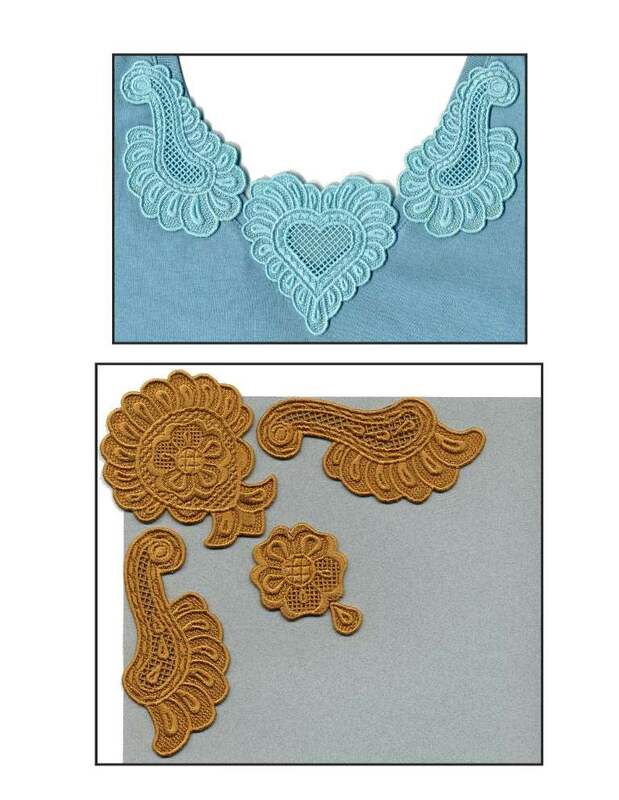 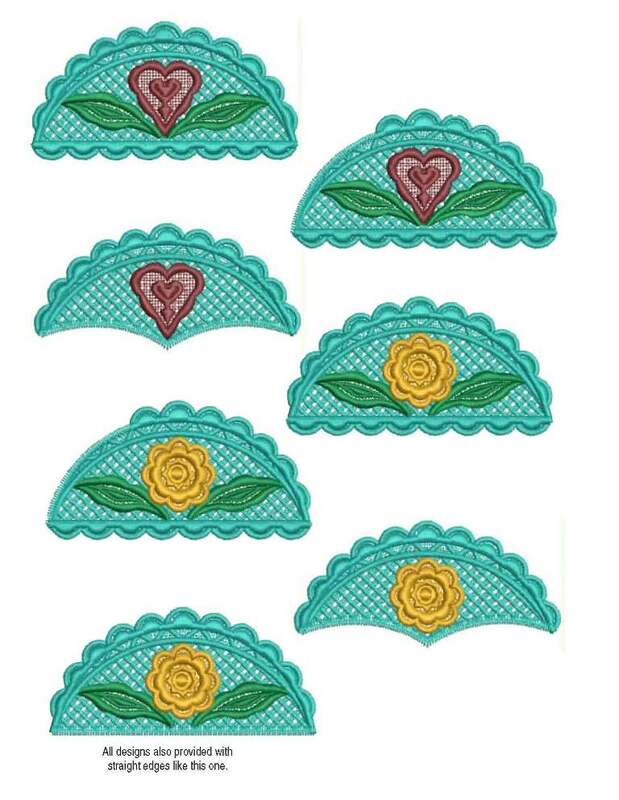 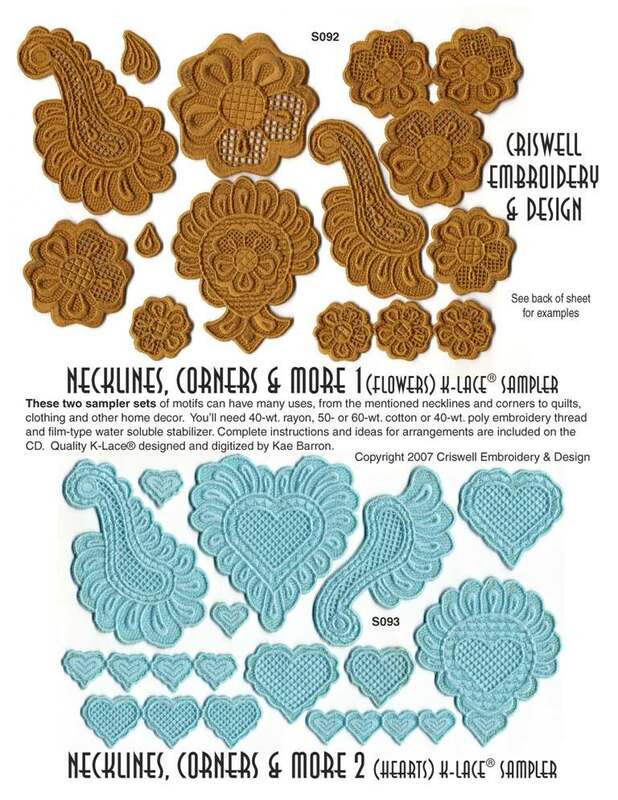 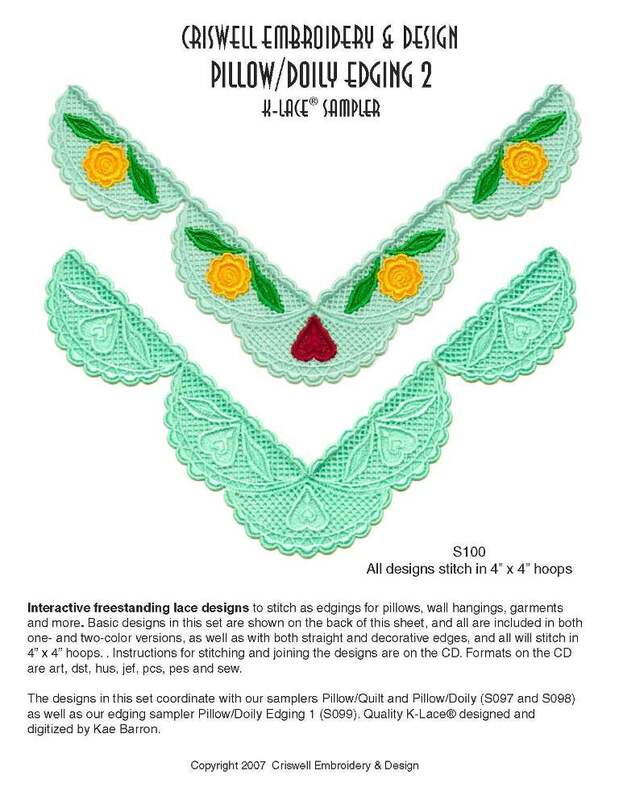 Interacting lace designs to use for pillows and doilies. 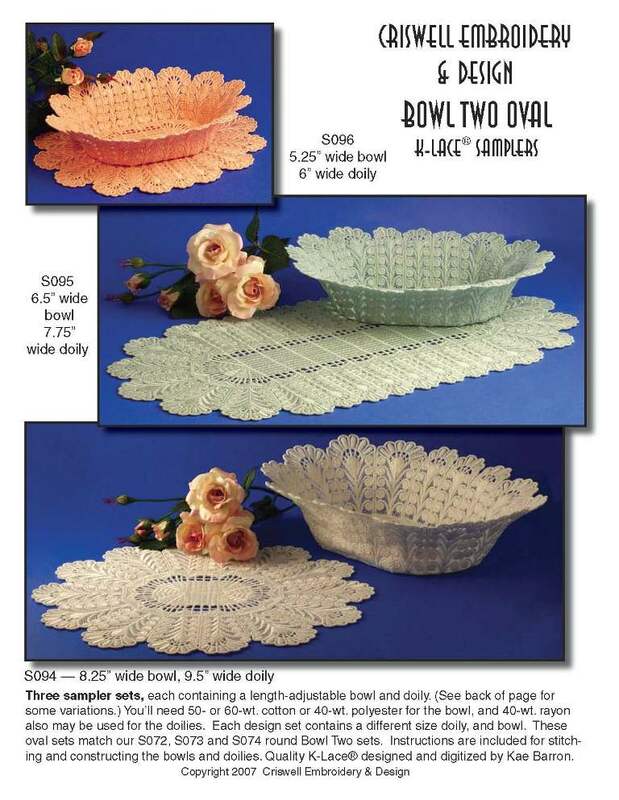 Arrangements included in instructions. 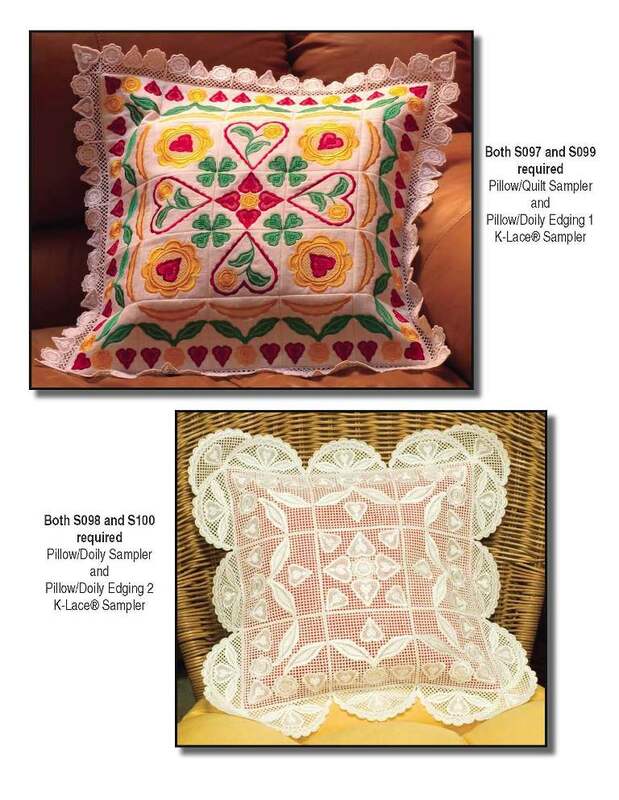 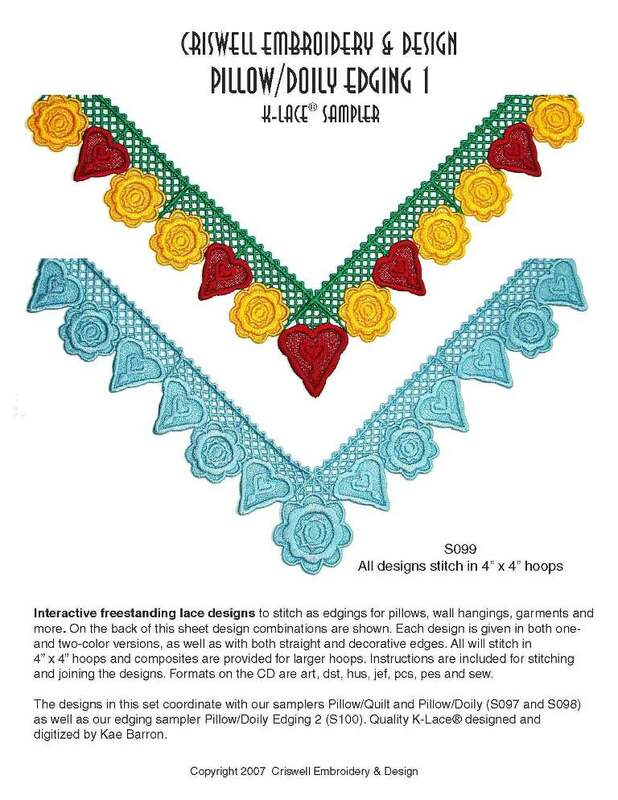 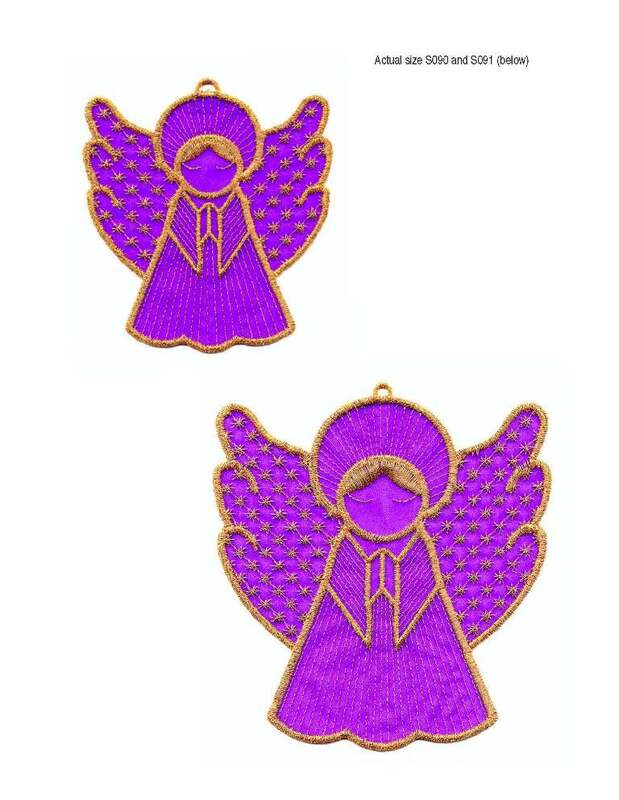 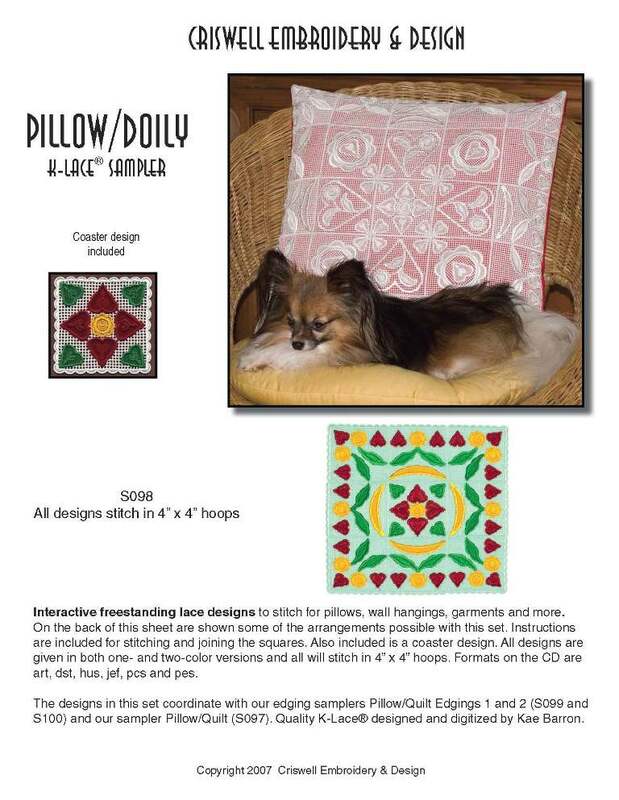 Matching our Pillow/Doily and Pillow/Quilt sets above, these edgings may be used on pillows, wall hangings, garments and more.